After more than ten years of academic formation and professional practice, the author of these texts told his friends that he was done with journalism. “Ain’t it dead, after all? Let’s turn this funeral into a party and forget the mourning” was his most remarkable sentence during these days. Then he turned his eyes into new media. His friends reminded him the vagueness of the concept “new” and made him see that this field was something that could get easily outdated, as it happened before with journalism. These arguments were not enough for him, so he insisted. By this time it was clear that he was not a man used to follow wise advices, so he kept on studying everything related to human communication: new, old and obsolete media… even the pre-media. Using an analogy with the infinite monkey theorem, Jacobo Corujeira also believes that in a very near future, machines will be capable to write much better biographies for blog’s authors than humans... if there is still electric power to keep them running. Wikileaks has become, in the last years, the symbol of transparency in the 21st Century. The efforts of the organization founded by Julian Assange to offer public access to relevant information about politicians, bankers and rulers of the world are reshaping not only journalism, but also democracies and dictatorial regimes. 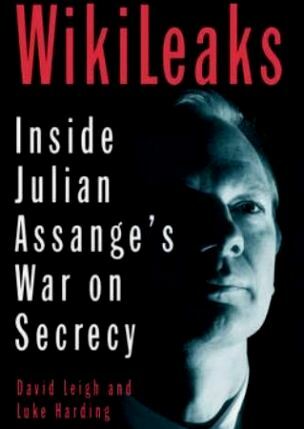 Wikileaks, Inside Julian Assange’s War on Secrecy (Guardian Books-PublicAffairs, 2011), written by two journalists of the Guardian, claims to be one of the closest sources of information about the history of the site: the reporters worked closely with Assange to develop the Cablegate in 2010. When David Leigh and Luke Harding finished their book they knew that this story was far from reaching an ending point. What they could not expect is that their own work would eventually become a necessary actor in the next season of this chilling series. The chapter 11 of the book, published last February, starts (135) with the password given by Assange to the journalists of the Guardian in order to access the raw files. The authors included it in the text assuming that the code was not useful anymore, but some later breach of security left the encrypted folder available to the public. Given this, people just had to stick them together to access the 250,000 documents stored by Wikileaks. Assange has blamed the British newspaper for the cable dump. Fifty eight characters: “ACollectionOfDiplomaticHistorySince_1966_ToThe_PresentDay#”. A combination of alphanumeric symbols that refer briefly to the content of the encrypted data linked to it. This is possibly the biggest paradox in all the history of Wikileaks: the password to gain access to their raw files was leaked and this security breach did not happen by sophisticated methods of encryption, as Assange could have expected. It came in one of the most classical ways: through a book. This is one of the great values of this work: Leigh and Harding try their best to prove the relevance of newspapers in our digital world, but the definitive winner in this match is the old, Gutenberg-style book. The story around the password may be the fresh news of these last two weeks, but the book has much more to offer. The work of Leigh and Haring, a chronological research of Julian Assange’s life and the rise of his transparency project, is full of references to the “symbiotic relationship” (59) between the former hacker and what he calls the mainstream media. It is a great text book for prospective journalists, as it offers an interesting approach to the role of classical-mainstream-capitalist media in our times. There is, anyway, a lack of any self-criticism in the book, not even a single line is devoted to express concerns about possible mistakes that the newspaper could have made concerning Wikileaks. Wikileaks has been a good deal for the former Manchester newspaper. November 28th, 2010, was a day that nobody will forget in the newspaper: their webpage received 4.1 million unique users only on that day, and a half of them came from the United States. It also served as a test for an almost newborn journalism genre, data journalism. Stuart Millar, the Guardian’s web news editor, explains it to the readers: “For us, there was a special responsibility to handle the material carefully, and to bring context to the stories, rather than just dump them out.” (183) There are further developments in the book about this new model in which the journalists act as some sort of intermediate manager -translator- between the raw data, provided by Wikileaks or other similar sources, and the audiences. Wikileaks: Inside Julian Assange’s War on Secrecy is written in a style that seems to be willing a movie version. Despite the title, in this film the leading role would not be for the Australian, depicted here as a maverick nomad. He would have a supporting role, of course, but the real stars in this text are the journalists: their meetings with lawyers, whistleblowers or heads of the US State Department, traveling from Islamabad to New York via Moscow in the pursuit of the decodified truth. It would have some resemblances of All the President’s Men, but moved forward to the digital era. Steven Spielberg has already secured the screen rights for the book. You can make your bets for the cast. Maybe Javier Bardem as David Leigh? There is another star in this story, maybe the most important –and forgotten one. Bradley Manning, the soldier that supposedly leaked secret information from two laptops in Iraq, is probably the weakest link. Depicted in the book and by his supporters as a young soldier concerned about the lack of security measures and the atrocities committed by the coalition troops in Iraq and Afghanistan, Manning has been under arrest since the spring of 2010. He faces more than 20 charges against him. There will be no Pulitzer prize for him, although he would probably deserve it much more than others. For Manning, the question might be whether his decision was right and worthwhile or a terrible mistake instead. There is something true: there have been no reported deaths due to the Wikileaks reports, at least until the last dump a few weeks ago. The achievements of Wikileaks concerning transparency are much more obvious than its value as a change factor in diplomatic policies, as stated in other chapter of the book: “Future historians may be able to assess whether that work might make future American and British military adventures anly less reckless and bloody”. « What cultural policy in the era of globalization and electronic media?